Happy Friday! 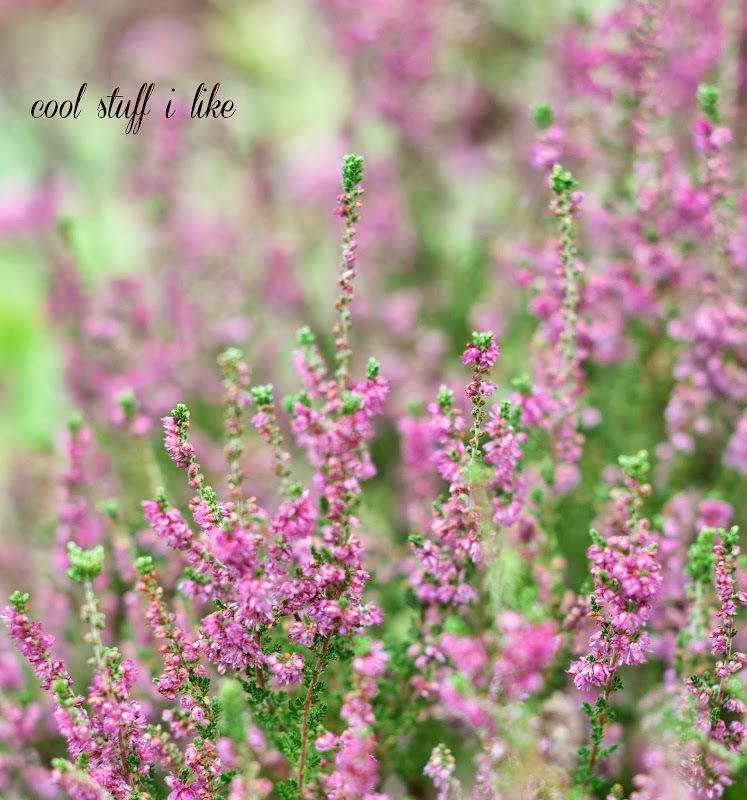 The picture above is of the heather growing in my garden. I was given a heather plant when we moved into our house and for years, it never grew. It never died, but it never really grew. Suddenly this year (about 5 yrs later) it grew! And really flowered! Well, we have our Halloween decor up. We have arrived at a Halloween costume decision. (I think.) We made and consumed an apple pie in less than 24 hours. We've been rained on and lost our power. We've put the flannel sheets on the beds. We watched Fall arrive with a BANG; there is no indian summer happening this year, I think. At the beginning of last month, it was nearing 90 degrees. Now it's in the 50's. And something else has been happening.....I've begun to think about Christmas presents. Pumpkin Coffee Cake & a Lovely Ode to Fall. I wish I had a store like this right next me! So happy I could cry. Fresh, new content supposedly! You've got to see this home. Can you believe all those Blythe dolls?? Halloween needlework for preschoolers. SO cute, I think my kid would love this even now at age 7. I've been all over looking for raincoats for Julia. Can you believe Target had NOTHING?? Andrew reminded me about L.L. Bean. And speaking of Halloween, you must see my booklist from last year, and my Halloween Pinterest board! Aw, you are so lovely. I popped over here to say hi because I've absent for so long and what do I see? Our Halloween needlework. Thank you! I can't wait to find out which costume you'll be going with this year. how funny is it that we both linked to the domino comeback? great minds think alike!! That house is seriously fabulous! They built their own library!!! How cool is that? And the Blythe doll collection is awe-dropping amazing! And I am happy to know I am not the only one thinking of Christmas LOL Have a great weekend Melissa! I want one of those little stores too! Growing up in a small town, I remember with great fondness all of the times I visited the local hardware store. There was, of course, the obligatory hardware selection... but you'd also find all sorts of cool old-fashioned housewares and other bits and bobs. I wish more American cities and towns still held that small town charm. Oh, and CHOCOLATE COBBLER? I need to make that. Wowza! I was quite bowled over by the library in that home. I can only imagine having that many lovely books! I see houses sometimes with entire walls of books, and get serious bookcase envy!! I must make chocolate cobbler. i LOVE that home tour. I love Zen Ghosts and your book list from last year and the needlework. Have a beautiful weekend, friend! Chocolate cobbler!!! We all gotta make it!! Happy wkend to you!!!! Oooo I'm itching to know what you picked. I want fall to arrive with a bang here. Hopefully this weekend. So funny thing. I'm writing this to you on Sunday night and this past weekend....summer came back! 73 degrees! It was amazing! It's going away again, but wow, what a weekend we had! Well, again I'm starving...I should really eat a big meal before I sit down to your posts...and also we both know when it comes to cool stuff staying on topic is like an impossibility for me...ready or not, here I go! 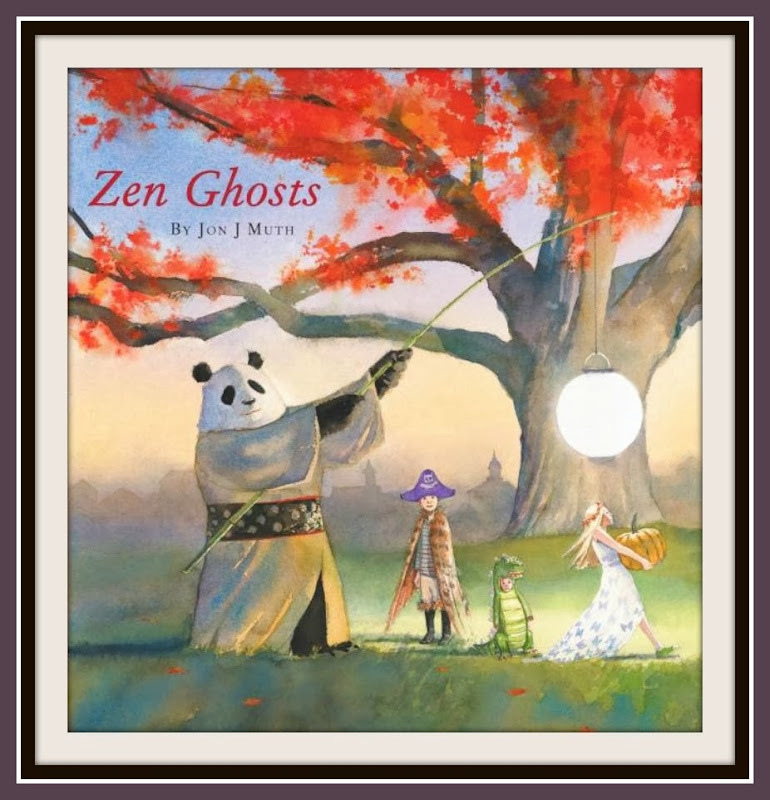 I have been meaning to post about Zen Shorts for ages....Zen Ties is not as well liked at our house...and Zen Ghosts, it has this air of mysteriousness....a little spooky feel...my kids don't really get it....but I think these books are lovely. I wish I had a giant panda neighbor....maybe if I plant some bamboo one will come? My kids have been selling junk for a school fundraiser including magazines and it totally made me think of your and your magazine wisdom...school fundraisers are the LAMEST by the way...yep. hehehe, good rambling to you! My laundry has been hiding inside my closet for 2 weeks! you need to seek out the animated film 'Panda Go Panda!' on Netflix or Hulu if you can. SO adorable!